If you’re wondering about the history and backstory of Trainwreck, join the queue! Sadly, we can’t even begin to hazard a guess where this long-time legend came from – suffice to say neither can anyone else. We know it first hit the scene in 1960s California, but other than that…well, that’s about it. In any case, it’s a hugely popular strain with a reputation for delivering gloriously uplifting highs and growing with little to no trouble at all. There’s speculation that the name refers to how powerful (and paralysing) the effects of Trainwreck can be when hit a little too hard. It’s also suspected that it might have something to do with it having been grown near a train track at some point, but it’s all pure speculation. Anyway, it’s not important. Make no mistake about it, Trainwreck is a heavy hitter. There’s a delightfully citrusy fragrance and flavour to it, which is complemented by earthy undertones and an unmistakable note of quality resin. The high is powerful and immediate, though surprisingly clear and always euphoric. Turned to routinely across California as a stress-buster, Trainwreck also has a reputation for bringing on the munchies like you’ve never known. A brilliant social strain for nights in or out. If you’re out to grow your own, the Trainwreck strain is durable and easy to succeed with both outdoors and indoors. Plants can be rather on the tall side and will definitely end up growing out of control without plenty of TLC. Still, it all adds up to serious strength and resilience. Indoors, you’ll usually find the plants topping out at around 1.50 metres, while THC concentrations can tip the magic 20% mark. For an indoor growing effort, you’ll be looking at around 10 weeks of flowering before harvesting can begin. And when it does, optimum yields come in at an impressive 700g for each plant, though usually fall around the 500g mark. In any case, it’s hardly an unimpressive yield. Growing outdoors in ideal conditions will always bring about the best possible results, but will take a good few weeks longer to accomplish. 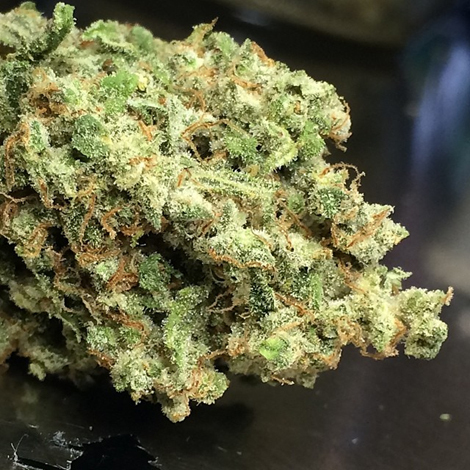 A great strain to start out with as a newcomer to growing, or for anyone looking for the kinds of buds that really do have the heavy hit of a freight train. Trainwreck is a great strain for growing at home but you need good quality seeds to do so. This strain comes in regular, feminized and autoflower versions and there is even a Purple Trainwreck for those of you into the purps.